Persistent Systems has released a Lower C-Band RF module for its MPU5 radio system, reflecting the company’s commitment to a truly modular radio architecture. 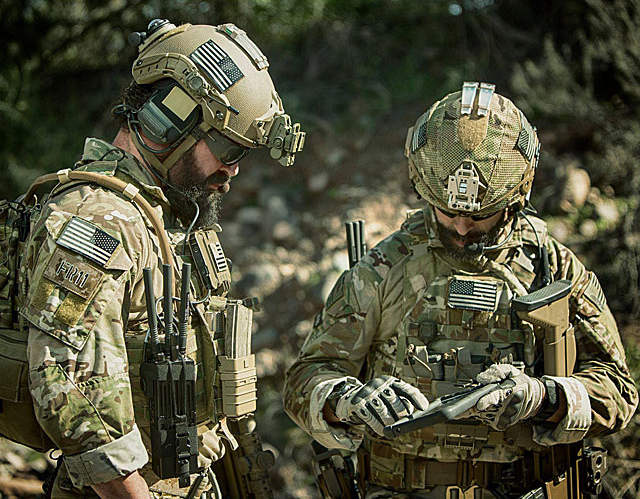 Teams equipped with the MPU5 stay connected and able to share critical information as assignments unfold. Enabling leaders to make better decisions by providing them with better data, faster. Tracking everyone’s positions and movements with integrated GPS. Capture, distribute, and view full motion HD video to investigate, coordinate, and complete your mission. The new Lower C-Band module operates in the 4400 to 5000 MHz frequency band that is utilized by NATO Military Forces, Federal & Homeland Security (DHS, DOJ), and Public Safety organizations. The Lower C-Band frequency is also a requirement of multiple Unmanned Ground Vehicle (UGV) Programs of Record. Persistent’s radio module provides 6W of transmit power via its 3×3 MIMO architecture, resulting in long range performance and high throughput. “By following a modular approach to radio bands, we’ve basically made the MPU5 future-proof,” said Nick Naioti, VP of Business Development. The US Government alone spends billions of dollars every year migrating their communication systems to new frequency bands as the Federal Spectrum Relocation process auctions off bandwidth to commercial wireless carriers. Money raised through FCC spectrum auctions is often utilized to provide funding to Federal Agencies who must migrate to new frequencies as they are forced from those that have been auctioned. However, if Federal communication systems employed a modular frequency architecture, billions of dollars would be saved, and the money could be appropriated for other important initiatives. Persistent has been advocating for Federal agencies to require a modular frequency architecture in government procurements to future-proof Federal communication systems and reduce the burden on taxpayers. “Persistent has proven that a modular frequency architecture is possible,” added Naioti. The new Lower C-Band Radio Module will also play a critical role in the Unmanned Ground Robotics (UGV) market, since this frequency band is a requirement for multiple programs of record that are actively being competed. Persistent, currently the largest provider of communication systems to the UGV market, has been working with many UGV platform providers to ensure that the Lower C-Band Module meets and exceeds all programmatic communication requirements. “Radio modules with 6W of transmit power and 3×3 MIMO technology mean that soldiers can operate UGV systems from much greater distances. UGV systems are typically utilized to inspect or neutralize explosive devices,” commented Eric Stern, Director of Engineering. Persistent has already begun accepting orders for the Lower C-band radio module for immediate shipment. Persistent Systems develops, manufactures, and integrates a patented and secure Mobile Ad Hoc Networking (MANET) system: Wave Relay®. Wave Relay® can transmit and receive data, video, voice and other application data under the most difficult and unpredictable conditions. Persistent’s suite of products is field proven and utilized in Commercial, Military, Government, Industrial, Agriculture, Robotics, and Unmanned System markets.